Bought this back in the early 1990s on holiday in Cyprus and it’s still going strong today! 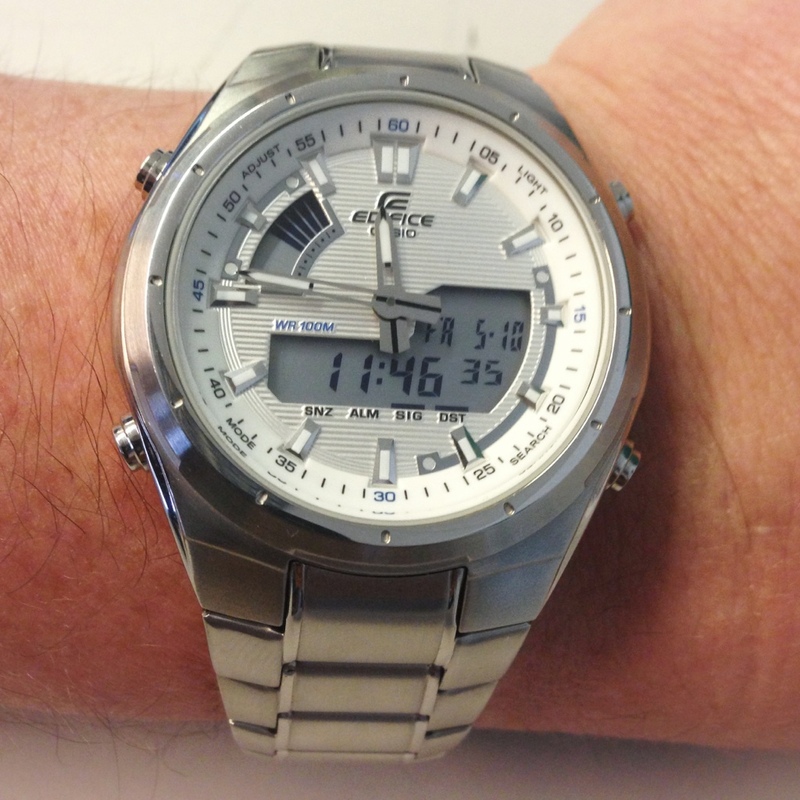 Categories: Casio, Watch Blog, Wearing Today | Tags: Casio, watch, watches | Permalink. 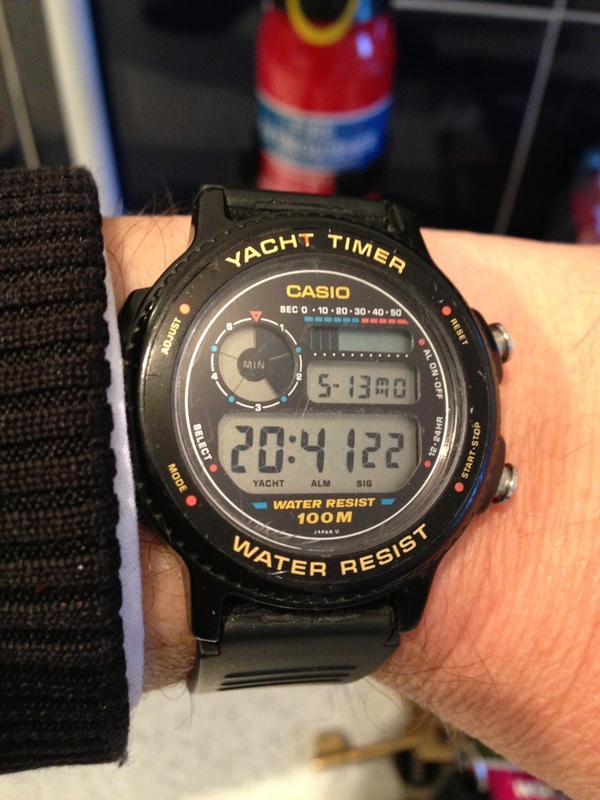 Another fine example of an Analog-digital watch from Casio and again spotted on the wrist of a work colleague. This has a simple elegance that really works for me and like The Casio Waveceptor this too reminds me of the Breitling Aerospace. Yes this really works for me. 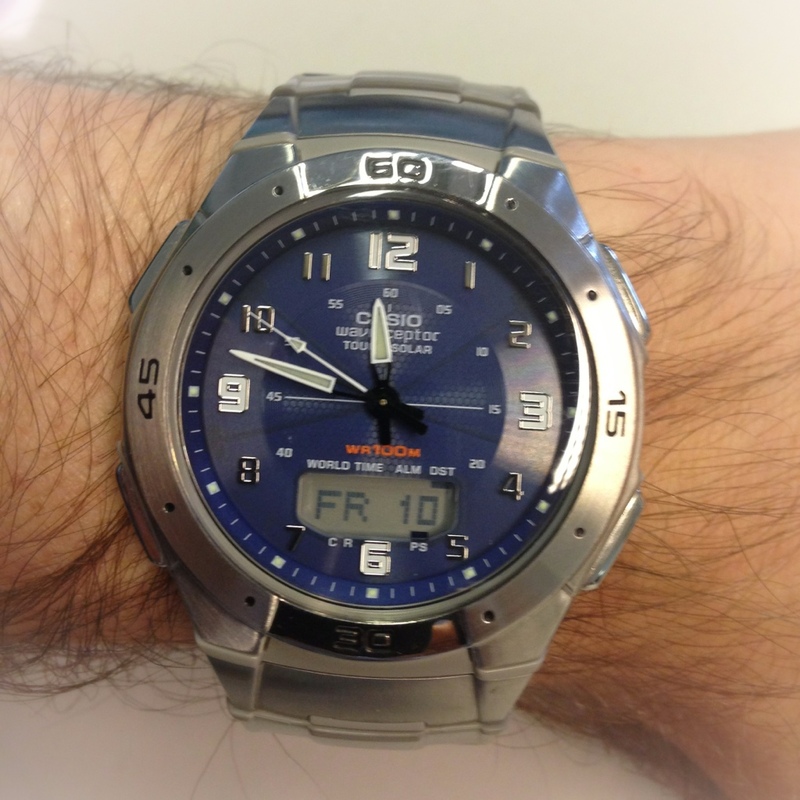 Categories: Casio, Watch Blog, Watch Spotting | Tags: Casio, watch, watches | Permalink. This blue beauty was spotted on the wrist of a work colleague. A Fine example of a Casio Analog-Digital, which reminds me of one of my wish list watches the Breitling Aerospace. This is an honest watch at an honest price. Back to the early nineties with this watch. I was holidaying in Cyprus and was enjoying waterskiing and going on the jet skis every day. Jet skis were hired for twenty minutes at a time which was long enough to be charging about the seas at full speed – great fun! However, I wanted a waterproof watch that had a timer on it so i could maximise my time on the jet ski. 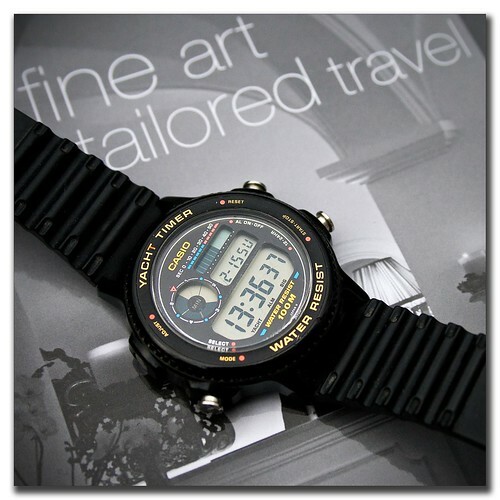 This nifty Casio watch beckoned me from one of the local shops and I enjoyed wearing it for many years through the Nineties! As you can see in the photograph it is still going strong as of the 15th February 2009 and indeed lives in our kitchen now where it still keeps great time. This watch is a very significant watch in my journey through time because it is the first watch I ever bought for myself. Prior to this I had inherited my Grandad’s watch, my Uncle’s watch and then my Dad’s watch and so I was the wrong side of 30 before I actually bought a watch for myself. I had always liked watches and in the eighties I had a hankering for a Storm watch but had never actually got a watch for myself. This then started me on my way. A humble watch you might say but there is nothing humble about a watch that still keeps great time 20 years later! Categories: Casio, My Journey Through Time, Watch Blog | Tags: Casio, watch, watches | Permalink.